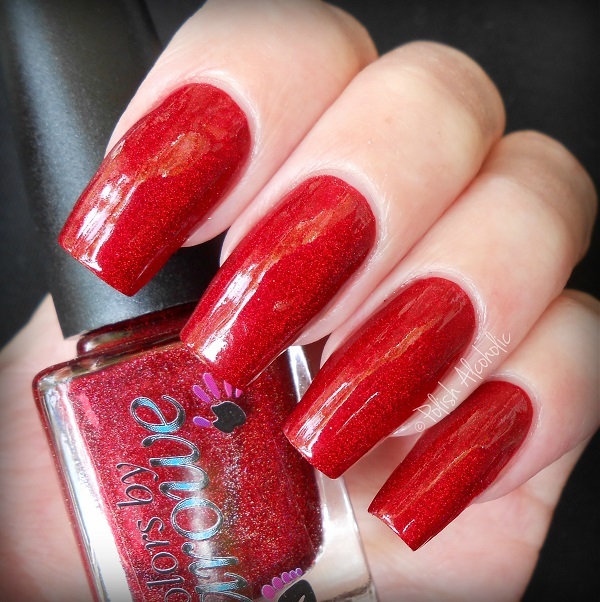 Another polish that I NEEDED to have is The Mighty Red Baron by Llarowe: I missed out on the first stock but managed to get my hands on it a while back. And I feel like such a lucky duck! Why? Well, there I was, behind my laptop with my eyes peeled waiting for my place in line at the Llarowe website. The moment I got through this polish was marked ‘reserved’. I couldn’t add it to my cart and since my cart was expiring in 30 minutes I thought I missed out again. I refreshed the page several times and clicked the ‘buy now button’ like my life depended on it the moment I got the chance. My sincere apologies if I cart jacked someone while doing that! Enough about my crazy-ness… The formula of this is amazing! It’s extremely pigmented and basically a one coater. I used two thin coats plus top coat here though. Look at that depth. I’m in love! 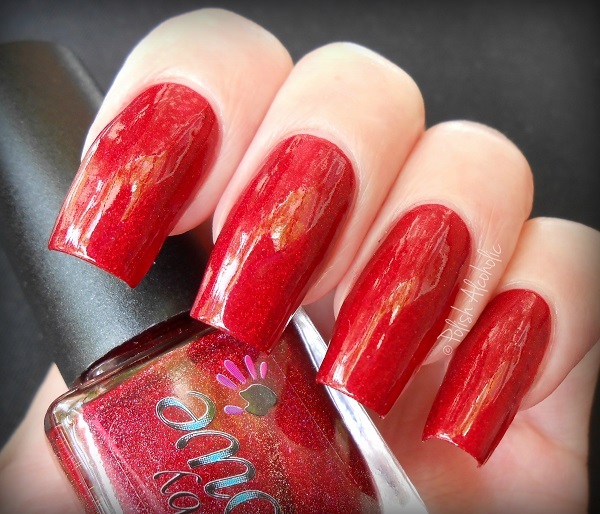 This entry was posted in Indie and tagged blog, colors by llarowe, llarowe, nail polish, polish alcoholic, review, swatch, swatches, the mighty red baron by Polish Alcoholic. Bookmark the permalink. Full disclosure: I hate the color red. Yet, I want to buy and wear this. It’s stunning!